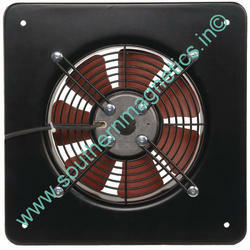 Manufacturer of a wide range of products which include panel mount cooling fan. Being one of the noted manufacturers, exporters and suppliers, we are involved in offering a massive assemblage of Panel Mount Cooling Fan. Precisely designed and developed under the supervision of our clients, the proffered collection of cooling fans is applauded for its efficient cooling. Panel cooling fans are tested for their quality and flawlessness before being delivered to the clients. Looking for Panel Cooling Fan ?